Skateboards are the latest addition to the Artist Shops product lineup and we couldn’t be more excited about this epic CCS collaboration. 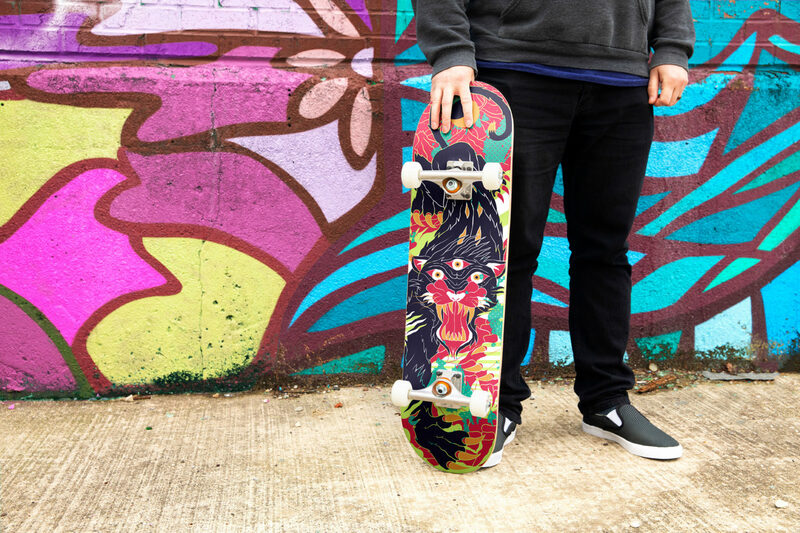 Offering skateboards to your customers is a great way to grow your sales. With spring upon us, and summer not too far behind, now would be an ideal time to launch an Artist Shop or update your existing Shop and add skateboards! Deck Only: This is only the skateboard deck itself with no hardware. Griptape, wheels, bearings, and trucks not included. Basic: Includes CCS 139mm Raw Skateboard Trucks, CCS 52mm White Skateboard Wheels, CCS Blue Steel Abec 7 Bearings, and Black Griptape. Premium: Includes CCS 139mm Raw Skateboard Trucks, Bones 100’s V4 Skateboard Wheels, Bones Reds Skateboard Bearings, and Black Griptape. Pro: Includes Independent Stage 11 139mm Raw Skateboard Trucks, Bones 100’s V4 SkateboardWheels, Bones Reds Skateboard Bearings, and Black Griptape. *Griptape, wheels, bearings, and trucks not included for decks only. Diversifying your Artist Shop will help you grow your sales and it’s super easy to set up your files. Review our template guide or continue reading below to see just how easy it is. 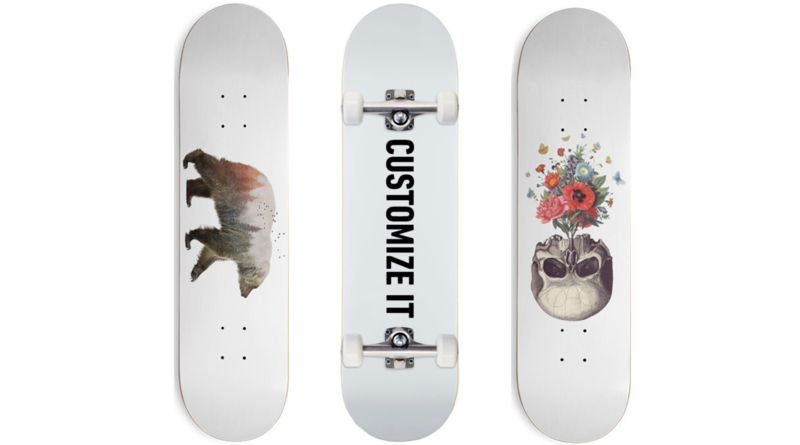 Since you can use a design’s Master File when adding Skateboards, you can easily add Skateboards to any existing design from the Manage Products page. Filter by ‘Accessories’ and select ‘Skateboards’ from the dropdown. Flip the toggle for a specific style or check the ‘Select All’ box to add all the Skateboard styles to your design. Once they are added, you can upload your Skateboard template or use the In-Browser Editor to adjust the design placement! For over thirty years, CCS has been the premiere destination for skateboarding, skate-inspired shoes and clothes, and snowboarding. In 1985, CCS opened up in San Luis Obispo, California, originally known as California Cheap Skates. CCS jumped into the mail-order business and gear was shipped out of the back room while merchandise was stored in the extra dressing room. Over time, the CCS Catalog (followed by the CCS website) became required reading by skateboarders and lovers of skate culture. Now get to wheelin’ and dealin’ some awesome boards and use this design template to help guide you. Get inspired and take a look at some brand new skateboards that other Artist Shop owners have created. We can’t wait to see what you create! Thank you so much for sharing it. You have provided some useful information here. It will be helpful to many people. I liked this site. It always shares some interesting post here. So glad to read this post. It is a pleasure to visit this site. Keep sharing more posts. Really looking forward to it. Thanks once again for sharing this post.